M-Edge products Stealth 360 Series, Universal Folio Case for 8-inch Devices. Green and Light Blue exterior with a Gray interior finish. Slim and lightweight. Strong silicone mount secures device. Magnetic closure secures front cover and folds back when using your device. GripTrack technology provides multiple stand positions. 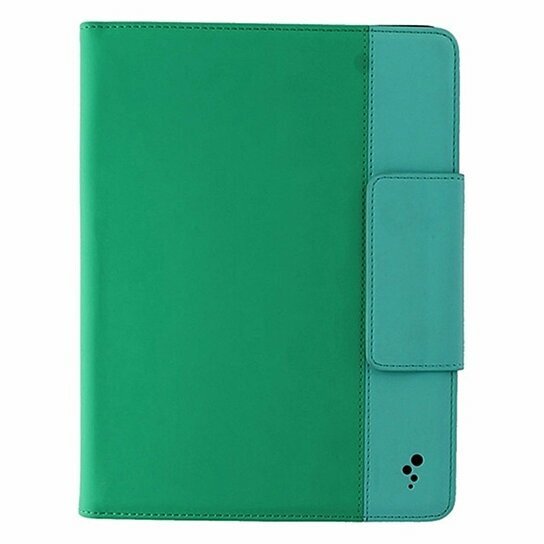 Interior case rotates within the folio cover for multiple viewing positions.